We are committed with serving our customers with the fastest possible service and the lowest possible pricing. Most of our countermen have more than 15 years of experience in the Auto Parts industry and help our customers find the right part at the right price, the first time! Plain and simple: We’re leaders. And there’s more than 100 years of combined experience of grease, grime and grit under our fingernails to prove it. 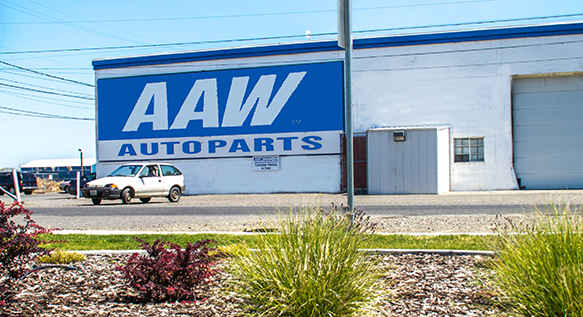 At AAW Auto Parts, we’re not just about delivering fast quality, affordable parts – we’re working to give our customers the right part the first time. 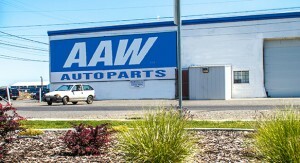 We’re the largest automotive aftermarket wholesaler in the South East Washington. We’re over 15,000 SQ of Auto Parts strong and equipped with the best Team Members in the industry in the area– and we’re still looking for more horsepower. It’s about knowing what it means to wrench up. To take control. Master the machine. That’s the power we give our customers..
We don’t have to share our profits with large corporate office overheads. Being a family owned business allows us to transfer the savings to you our customer. 2We are positive we have all of the parts you need. If you are looking for a specific part that you can’t find, Contact us at 547-6000 Our friendly and professional staff will be able to assist you with any questions or concerns you may have. We look forward to earning your business and keeping you as a repeat customer. And we are in it for the long run, meaning our commitment to customer service is unmatched and our number one priority is you are customer!